A factory--modded version of the ASAT Classic, the Fullerton Deluxe ASAT Classic Bluesboy is aimed at the player who wants the vibe and playability of Leo Fender's final version of the bolt-on single-cutaway design, but with a neck humbucker for a dose of charismatic warmth. Built in the legendary Fullerton, California factor known a "The Birthplace of Bolt-On," these elegant instruments feature precise fit and finish, with a satin-smooth, silky maple-on-maple neck and a wide range of body finishes. 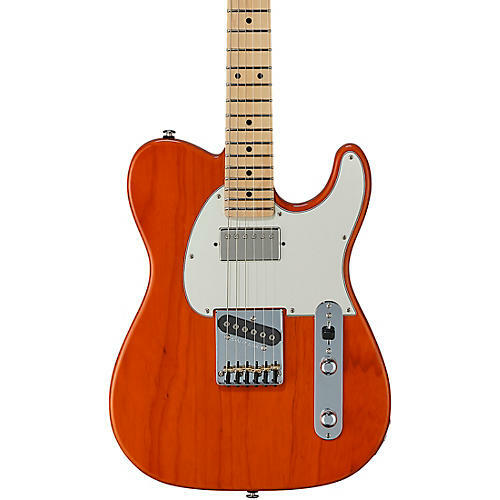 Available in Clear Orange, Cherryburst, 3-Tone Sunburst, Blueburst and classic Blonde over solid swamp ash bodies, all these instruments feature premium touches like rolled-edge fingerboards and a final fret dressing and bun on G&L's Plek Pro machine.